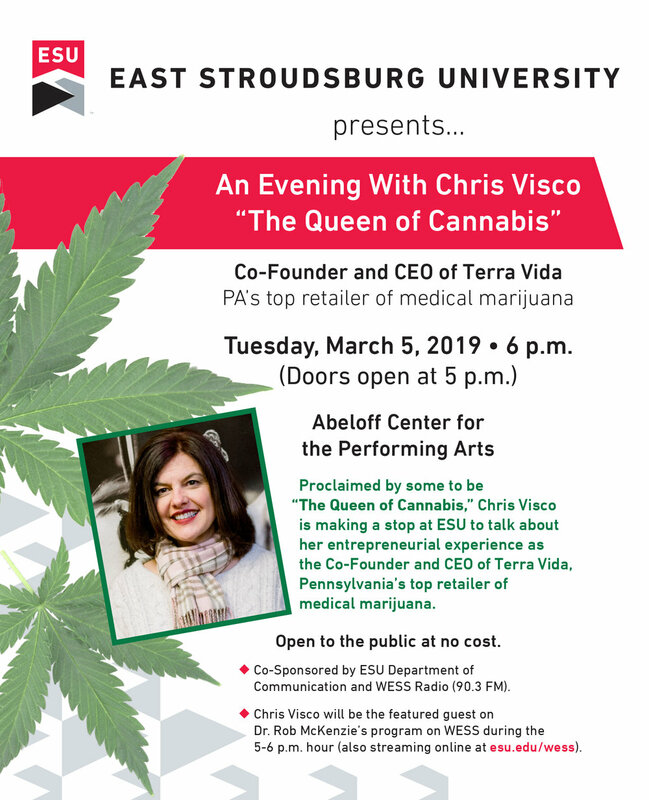 An Evening with Chris Visco, "The Queen of Cannabis"
TerraVida’s co-founder and CEO, Chris Visco, will be speaking at East Shroudsburg University on March 5th! Stop by and and listen about her experience as an entrepreneur as the owner of Pennsylvania’s top retailer of Medical Marijuana. This event is open to the public at no cost!